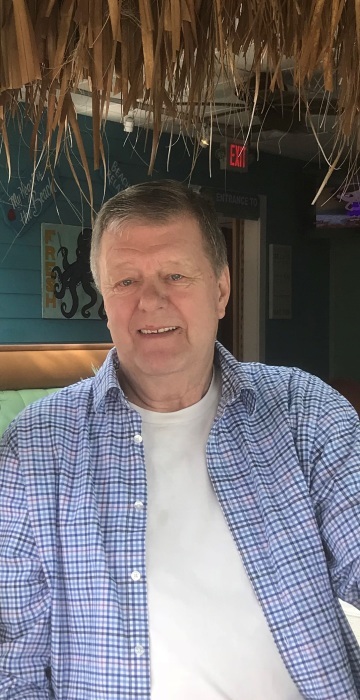 Harold L. Williams, Sr., 77, Fairmount, died Saturday, September 15, 2018, at Monticello Healthcare in Monticello, Indiana. Harold was born in Marion, Indiana, on September 28, 1940, son of the late Carl (Martha Jane) Williams and Dorothy (Julian) Strong. Harold worked security for 31 years at Owens-Illinois and CPC. He was a member of the Gas City Moose Lodge #778. He married Margaret Joanne "Peggy" Bangle on March 24, 1961, in Denver, Colorado. Peggy preceded him in death on October 4, 2017. Harold is survived by his four children, Candy (Darren) Nelson of Delphi, Indiana, Harold Williams Jr, of Jupiter, Florida, Sandra Williams of Fairmount, Indiana, and Charles (Jo-ell) Williams of Milan, Indiana; 9 grandchildren, Robert DeHaven, Casey Williams, Carey (Tim) Ragsdale, James Nelson, Brittany Nelson, Breana (Jake) Chenoweth, Austin Williams, Kaitlyn Williams, and Karley Jo Williams; 9 great-grandchildren; siblings, Peggy (Jerry) Myers of Gas City, Robert (Jean) Marrs of Fairmount, Mark (Fran) Williams of New Haven, Patricia Hastings of Texas, Brian (Sherla) Williams of Texas, Kevin (Kathy) Williams of California, Larry (Isaac) Williams of Florida, Lia (Warren) Wallner of Wisconsin, John (Roz) Strong of Colorado, Susan Morgan of Huntington, Robert Strong of Indiana, and Jeannie Hollingsworth of Kentucky. Harold was also preceded in death by a sister, Judy Dillon, and a brother, Mike Richardson. Arrangements have been entrusted to the Fairmount Chapel of Armes-Hunt Funeral Home and Cremation Services, 415 S. Main Street, Fairmount, Indiana, where a visitation will be held on Tuesday, September 18, 2018, from 12:00 - 2:00 p.m. A funeral service will follow at 2:00 p.m. Burial will be at Park Cemetery in Fairmount. Memorial contributions may be made to the American Diabetes Association in care of the funeral home.